Planning on doing business overseas? Establishing a new office in a foreign land, or selling online to consumers in a new country? When going over company requirements for working in your new neighbourhood, don’t forget to review corporate privacy practices. When it comes to privacy, expectations, safeguard minimums and rights of the data subject can vary between jurisdictions. From Canada and the United States, the European Union with its new GDPR, Japan, Australia, even between China and Hong Kong, there’s no single set of global standards. Fortunately however, many privacy legislations do contain common ground. There are also ways to proactively account for the differences. 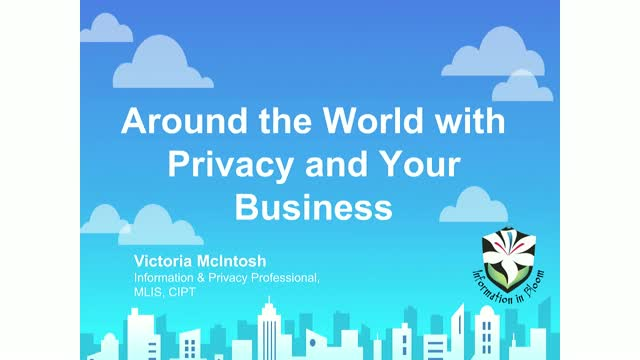 Information and Privacy Professional Victoria McIntosh presents a taste of privacy across the globe, with some of the ways businesses can prepare in dealing with data across borders.